SeaLife Lenses allow you to take amazing visual perspectives of your underwater subjects or seascapes, from Macro to Wide Angle, you’ll be able to take your image with crystal clear precision. Wide Angle lenses allow for a considerable increase in shooting angle, from approximately 30% to 100% more than the camera’s lens. Wide Angle or even wider “Fisheye” Dome lenses are the perfect lens for big colorful reefs, large sea creatures or large spaces. A Macro Lens allows you to decrease the shooting distance, from about half the distance, to down to one third of the camera’s lens normal shooting distance. Macro or “Super Macro” lenses are suited for close-ups of the tiniest sea creatures, revealing their distinct colors and features. Doubles the normal shooting angle! 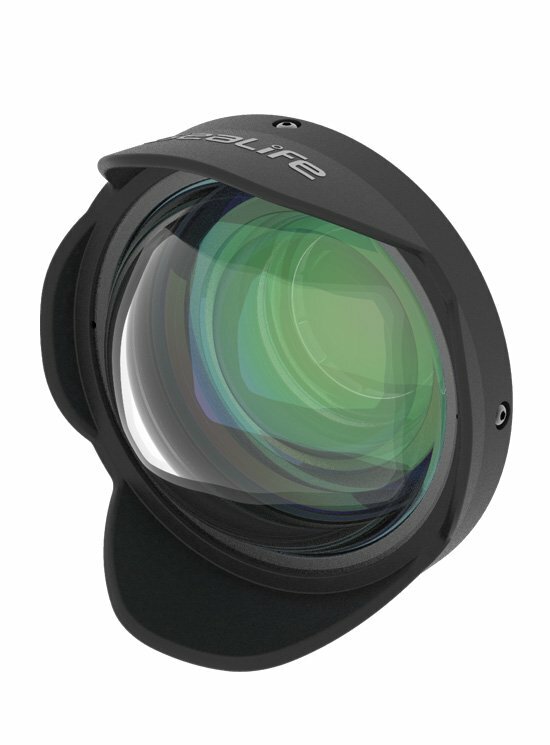 The SeaLife 0.5x Wide Angle Dome Lens will increase the field of view by 100% over the already wide 31mm lens (film equivalent) of the DC2000 underwater camera. The Dome Lens allows for amazing underwater images and offers incredible perspective of the undersea landscape. Simply mount the lens and set the camera to its AF or Macro setting. The 0.5x Wide Angle Dome Lens has a 16mm effective focal length on the DC2000 underwater camera and features fully multi-coated precision optics for maximum light transmission. The effective focal length with the Dome lens on the DC1400 camera is 14mm. With the SeaLife 0.75x Wide Angle Conversion Lens, you can stay within the shooting range of your flash and still fit everything in the shot. Simply mount the lens and set the camera to its AF or Macro setting. The Wide Angle Conversion Lens compensates for the water’s magnification effect, increasing underwater field-of-view by 33%! The Super Macro Lens captures stunning macro images from 1.5” to 4” (4cm to 10cm). The lens features a 2-element optical grade lens with anti-reflective coating and durable anodized aluminum construction. The Macro lens is on a 52mm SeaLife DC-Series press-on lens mount. Simply mount the lens and set the camera to its AF or Macro setting. This 52mm lens also attaches to any underwater housing with 52mm mounting threads. Converts the DC-Series lens port to 52mm. Quick and easy push-on attachment on land or underwater. Works with SeaLife DC2000, DC1400 and all previous DC-series cameras. 67mm lens/filter may be attached to 52mm adapter using SL978 52-67mm step-up ring (sold separately). Easily convert 52mm threads to 67mm threads! Attach any 67mm camera lens or filter to your SeaLife DC-series camera. Mounts to SL977 52mm thread mount adapter (SL977 sold separately). The Super Macro Close Up Lens captures macro images and videos from 3.5” to 7” (9cm to 18cm). 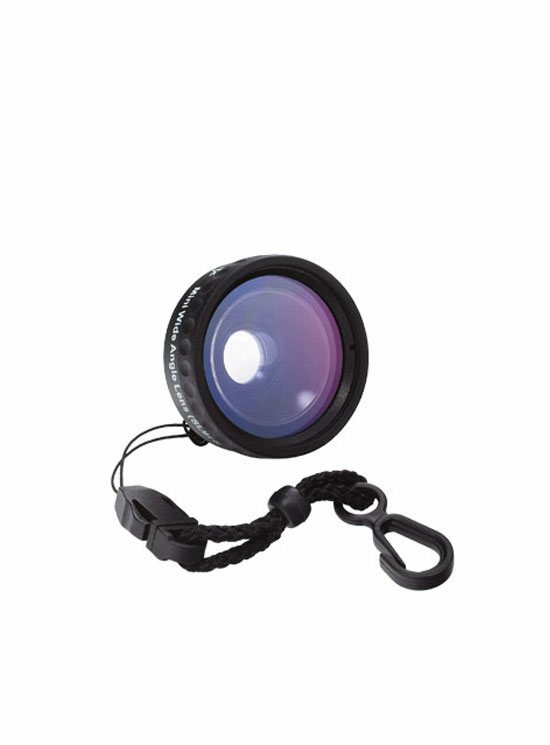 The lens features a 2-element optical grade wet lens with anti-reflective coating and anodized aluminum construction with rubber press-on lens mount. This lens fits Micro HD/HD+/2.0 cameras.